Clin Infect Dis. 2015 Jun 16. pii: civ474. 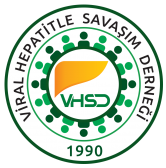 Hepatitis B Reactivation During Successful Treatment of Hepatitis C with Sofosbuvir and Simeprevir. Collins JM, Raphael KL, Terry C, Cartwright EJ, Pillai A, Anania FA, Farley MM. Treatment of HCV with potent, interferon-free, direct acting antiviral regimens with no activity against HBV may increase the risk for HBV reactivation in co-infected patients. We present two cases of HBV reactivation during treatment with an all oral regimen of simeprevir and sofosbuvir and discuss strategies to prevent HBV flare. Sitemizi bugüne kadar 137671 kişi ziyaret etmiştir.